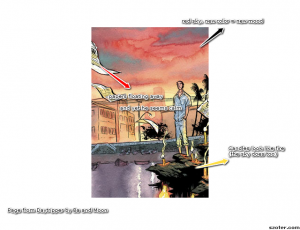 Last semester in my Duke Augmenting Realities undergraduate literary digital humanities writing course, my students and I digitally annotated graphic novels. 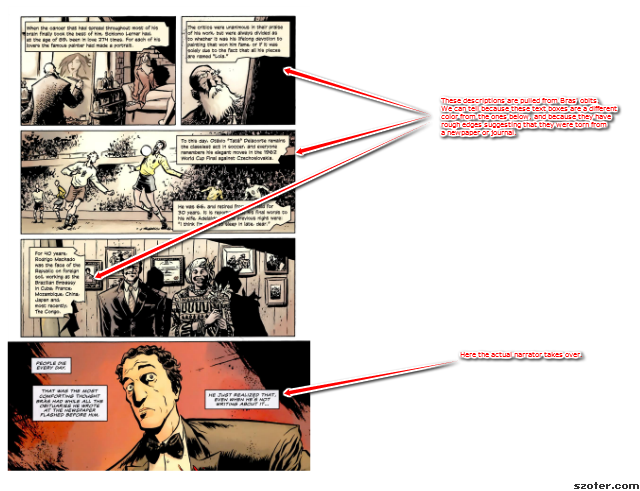 After testing - and liking - PoetryGenius for collaborative text annotation, I desired a method for mobilizing digital annotation for image-based narratives. I found Szoter.com and the assignment was born. The students found this blog assignment to be fun, relevantly digital, thought-provoking and good practice for their final transmedia essay projects. Here you'll find the assignment and the digital annotation results. 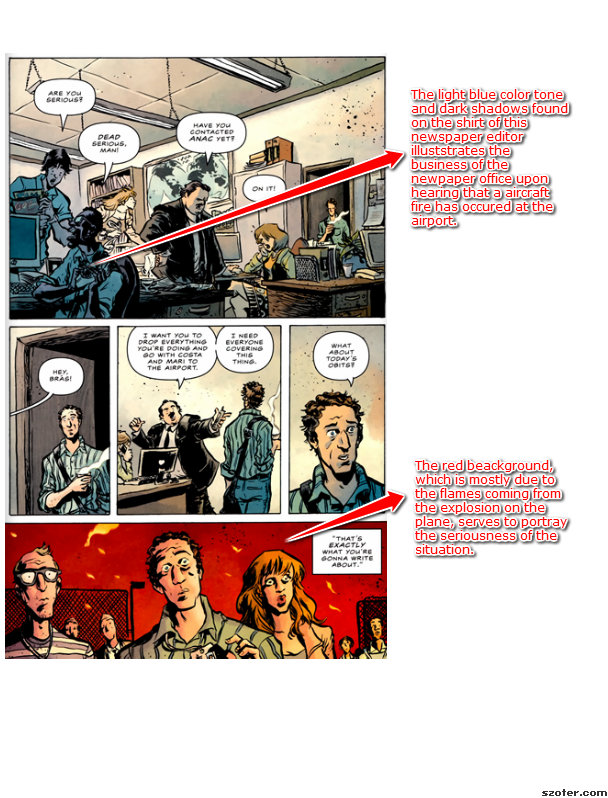 For your Graphic Novel Response blog this week, you’ll be digitally annotating pages from the graphic novel Daytripper as supplementary ‘media elements’ to ‘augment’ your weekly response blog posts. You will write your blog as usual using the Response Blog criteria but will also be required to integrate at least four annotated images – or two full spreads – in your blog. Be sure to explain your annotations if explanation is necessary. For your Graphic Novel blog, you’ll be using Szoter.com to annotate pages from the graphic novel Daytripper. 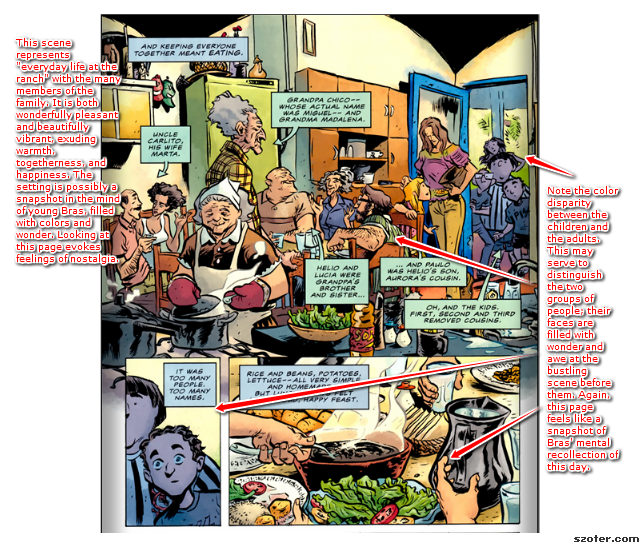 Szoter allows you to annotate images with text, shapes, arrows, and colors. You can then save your annotated images and upload them to our A_R Blog. Here is a collection of their images. Click on the images to expan. You can see their full blog posts and all digitally annotated graphic novel pages here: http://sites.duke.edu/lit80s_02_f2013/tag/daytripper/. By the way, you and/or readers of this post might be interested in joining our Graphic Storytelling group here at HASTAC. Thank you, Ernesto. I very much appreciate your response here and on Twitter and I look forward to reading the Labarre piece you've shared here and the TILE tool you mentioned on Twitter. I appreciate too your recommendation to join the Graphic Storytelling group. I'm doing so right now!